Google AdSense Testing Ad Units With Tiny Fonts? 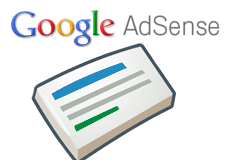 Home > Google News > Google AdSense > Is Google Testing Small Fonts In AdSense Ads? A publisher at WebmasterWorld couldn't believe his eyes when he saw an AdSense ad unit with extremely small fonts. The fonts were so tiny, it was hard to read, let alone click on. It's been more than a year since I've noticed these ads with tiny fonts. They pop up randomly, I've tried different widths/heights and still get them. Am I missing something? This can't be normal?! I wouldn't be surprised if Google did test it but I doubt we will ever see such an ad unit approved for the public.